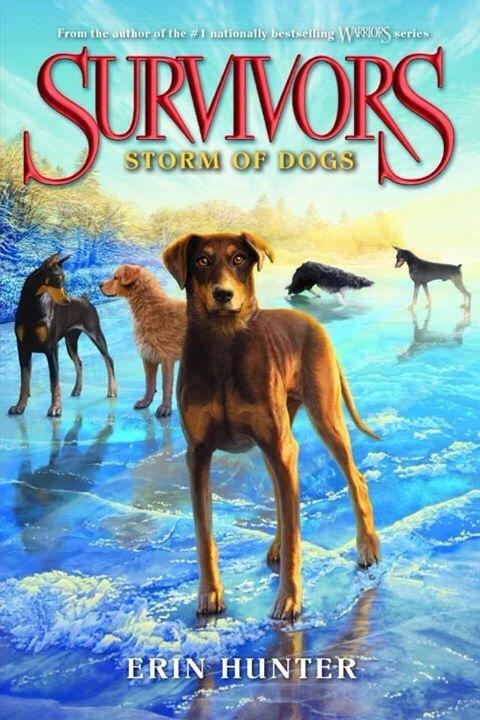 Survivors: Storm of Dogs! The 2015 Tour Begins! Posted by Gillian Philip on 7 February 2015. 2 Comments so far. I can hardly believe it’s been a year since my last Survivors tour, for The Broken Path – and that the Storm Of Dogs Tour is right around the corner. Tomorrow (Sunday) I’ll be flying out to Alexandria, Virginia – and I can’t wait! I’ve said it before and I’ll say it again – I love meeting Erin Hunter fans. You’re all so welcoming, so friendly and so knowledgeable about the worlds of the Warriors, Seekers and Survivors. I know I’m going to have a great time introducing you to this final book in the first series – because I always have the time of my life touring for Survivors. Just what is it that threatens our dogs – and what exactly does it have to do with the young Fierce Dog who actually chose the name Storm? A chill went through Lucky’s fur at his young friend’s Naming Ceremony – did he have good reason for that sense of dread? Not long to wait now to find out – Storm Of Dogs will be released (in all its fury!) on 10th February. And that’s the day I’ll be in Alexandria, VA for our first events of the tour. From Virginia I’ll be travelling to Dayton, Ohio; Boulder, Colorado; Portland, Oregon; and Seattle, Washington State. If you’re anywhere near, do come along and say hi – I’d love to meet you all! I’ve never been to this part of the States before, and I’m so excited my suitcase is already out and ready, a week in advance. My own Pack-mates – dogs Cluny, Milo and Otto, together with warrior cats Pebble and Dash – are not too happy about this, because they know what it means: that I’m off having fun without them! But I’ve promised to bring them all presents…! And I am so looking forward to showing you some photos of them all. By the way, you are going to fall in love with Michi, my co-Erin Inbali’s dog – I’ve got some pictures of him to show you, too, and he’s ADORABLE! So check back here in a few days, because I’ll be bringing you up to date with what’s happening on the tour. Here we go, Pack-mates – prick your ears and keep your noses sharp, because we’re hitting the road soon! Excited Pack-howls to you all from me! Thanks Candy, it was wonderful!